It’s April and we’ve already started thinking about our journey back to New England, but based on the recent weather there, we’re in no big hurry! Even though it’s been a little chilly here in AL and the FL panhandle, it sure is a lot warmer than up north. Plus, we figured that we needed to slow down and do not much of anything for a bit – it’s been such a busy six months since we sold our house and became full timers. I do declare all this sightseeing is just so exhausting! 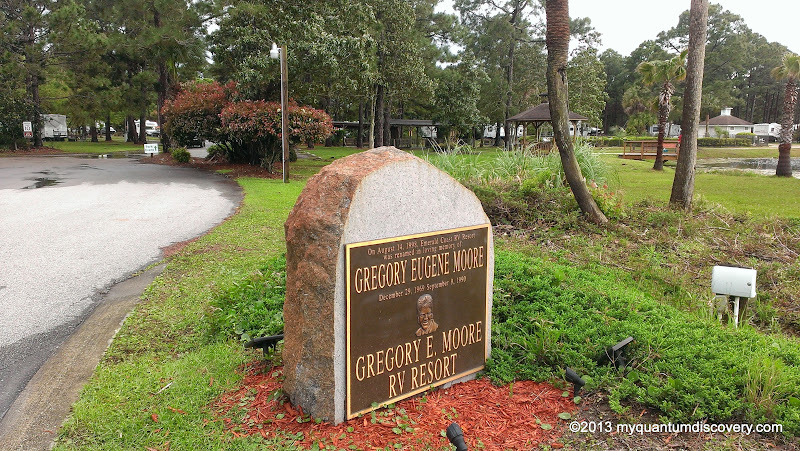 When we checked the Reserve America website a few weeks ago and saw that there was availability at Topsail SP (aka Gregory E. Moore RV Resort) from April 10th through April 20th (on a site we know we like), our fingers couldn’t move fast enough to make the reservation. 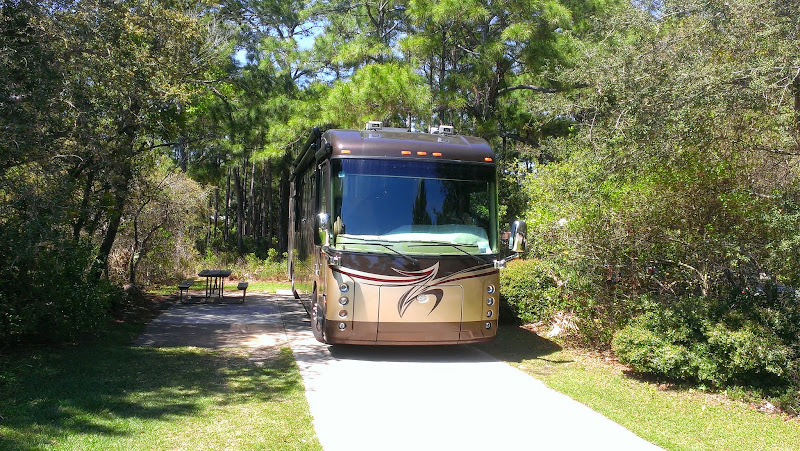 Since we know both the state park and the area quite well, we figured that it would be a good spot for some downtime and allow us to recharge our batteries. We also figured we could get some of the to-do’s done that have been on our list for months. Not to mention our rate as FL residents is half the regular rate (our cost $23.50/day including taxes). 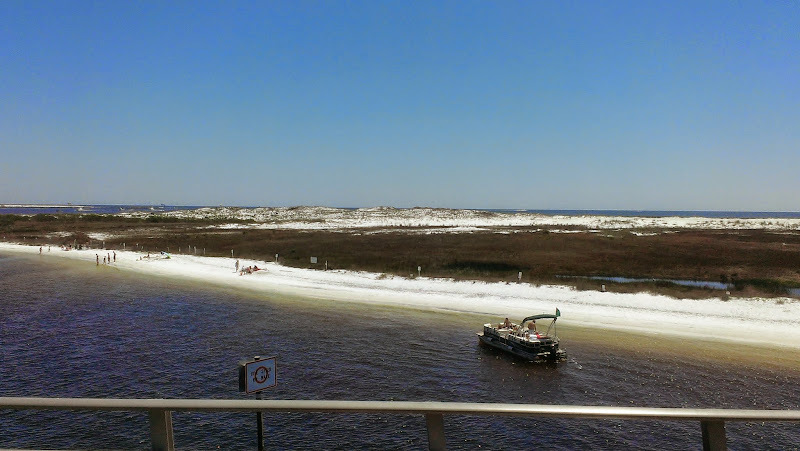 So on Thursday, April 10th, we reluctantly left Meaher State Park behind and headed for Topsail Hills Preserve State Park in Santa Rosa Beach, Florida. Except for the crazy day we had the day before (no, we didn’t get eaten alive by the ants during the night! 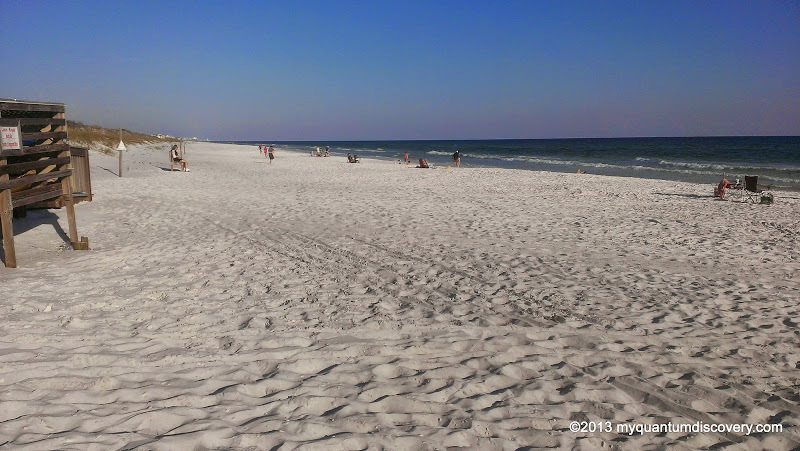 ), we totally loved Meaher State Park and definitely would stay there again. Next time though we will be better prepared for the ant invasion! On the news that morning we heard that a truck tanker carrying fuel had turned over on I-10 near Crestview and I-10 in both directions had been shut down with no ETA on when it would be back open (I think it was shut down for at least 8 hours). Oh, oh, since that was the way we were headed it sounded like we needed to find an alternative route. We elected to exit 1-10 well ahead of the accident northeast of Pensacola, then take the coastal route US-98. This route is much more scenic and is easy driving, even though it is a bit slower due to traffic lights. Knowing we had a little over a 2 hour drive ahead of us, we pulled out of Meaher SP around 11:15 am, taking a right onto US-90, driving towards Daphne, AL where we picked up I-10. We followed I-10 until FL-281 east of Pensacola, then crossed over Pensacola Bay to FL30/US98 E, passing through Destin on our way to Santa Rosa Beach. It was a pretty uneventful drive. Arriving at Topsail shortly after 2 pm, we stopped at the registration office to check in. We were given the usual spiel and paperwork by the ranger with directions on how to get to the site we had reserved – #90. On our trip to Florida in 2012, we had stayed at site #86 so we knew exactly where the site was. Although it’s located in the older section, it’s a great site – very wooded with lots of privacy and directly behind it are the tram/nature trail to the beach and Campbell Lake. We even managed to get satellite service without setting up the tripod. While we could not see all three satellites in the DISH Western Arc, we were able to hit the DISH 61.5 Eastern Arc satellite from our rooftop unit which gave us all the locals in HD and every thing else in SD. After settling in, the first thing we did was to hop on our bikes and pedal to the beach just to make sure it looked the same. It did, except there were a few more humans around now that the weather has warmed up! And yes the sand still squeaks! 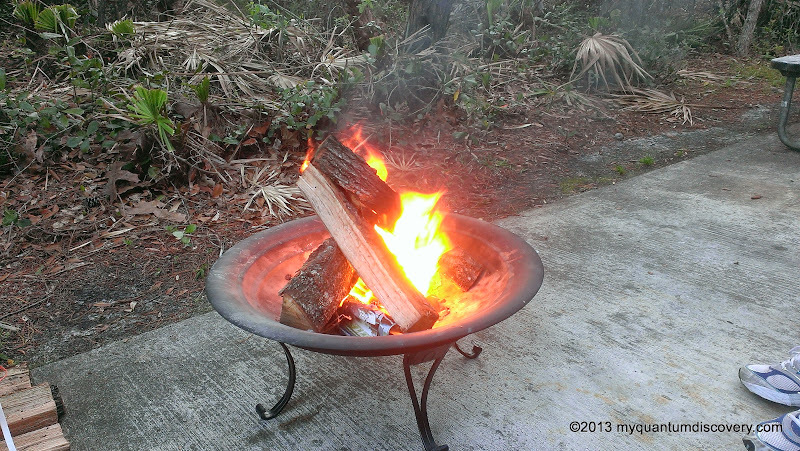 That night we had a relaxing evening sitting by the campfire, our first in a long time. Ah, yes, it was nice to be back in familiar territory!